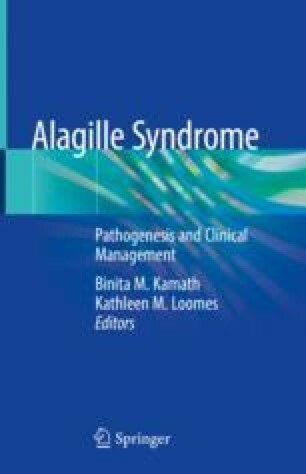 The diagnosis and condition including those involving understanding of Alagille syndrome have evolved over more than 40 years giving important insights into other conditions including liver, cardiac, vascular, renal, eye and growth. Recently a new mechanism involving Jagged1, Notch1, and CD46 has been described linking the complement system to T cell progression through normal inflammation to resolution. A proportion of Alagille patients have been described as exhibiting excessive infections or inflammation including a small number with rare chronic inflammatory conditions. Four patients with ALGS having had recurrent infections have been described with an immune profile compatible with a persistent pro-inflammatory immune state related to failure of the Jagged1-Notch-CD46 system. Studies to elucidate the prevalence, cohort clinical significance, and optimal management have still to be undertaken.